The foundations for what we know as Chinese food were laid in the mid-1800s, when a huge influx of Chinese immigrants came to California during the Gold Rush. When American Chinese restaurants first stepped out into mainstream culture, restaurants offered two menus: a Chinese menu and an American menu. The American menu soon became the only menu due to the crowds of young Americans hungry for savory sauces found in the American Chinese dishes. The folded paper boxes that have now become a staple of American Chinese food were traditionally used to transport oysters. Despite their popularity in American Chinese dishes, broccoli, tomatoes, carrots, and yellow onions aren’t typically found in actual Chinese restaurants because they aren’t vegetables native to China. 1714 Bernardino Ramazzini died. An Italian physician, he was the first to note the relationship between worker’s illnesses and their work environment. Considered the founder of occupational medicine. 1854 Paul Sabatier was born. Organic chemist who researched catalytic organic synthesis. The margarine, oil hydrogenation and methanol industries grew out of his research. 1946 Musician Gram Parsons was born. Member of the Byrds and the Flying Burrito Brothers. 1963 Viking ruins were found by archaeologists in Newfoundland, dated to about the year 1,000. Leif Ericson had landed at ‘Vinland’ – 500 years before Columbus ‘discovered’ the New World. 2000 David Ross Brower died. Brower was the founder of many environmental organizations including the Friends of the Earth and Earth Island Institute. 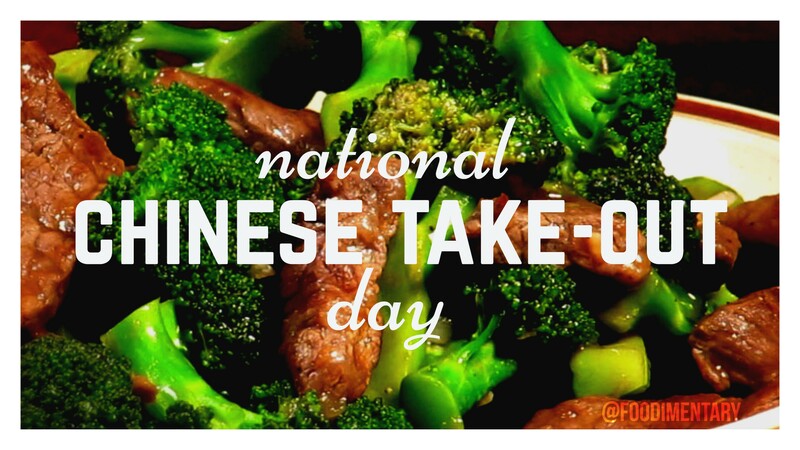 November 5th is National Chinese Take-Out Day!